There were lots of companies in contention this week. It could have been Johnson & Johnson, which was identified as an opioid 'kingpin by the Oklahoma attorney general. It could have been Amazon, which seems to be stressing out its employees to the extent of 100s of suicide attempts. It could have been Wells Fargo, whose lawyers admitted that efforts to restore the bank's reputation were mere 'corporate puffery . Or it could have been the nation's gunmakers, after a Connecticut court ruled that a lawsuit filed by Sandy Hook parents could move ahead. But let's face it, nobody suffered a worse week than Boeing. After a Boeing 737 Max aircraft—the company's best-selling aircraft ever— crashed in Ethiopia , attention turned quickly from the carrier to the manufacturer. This was the second plane of its kind to go down in similar circumstances, the Ethiopian Air flight incident following a few months after a Lion Air jet that went down in October last year in Indonesia. China was the first to ground the planes, followed by Indonesia, Australia and Singapore. By Tuesday, the EU's aviation regulator suspended all operations of the Boeing 737 Max in Europe, and the US—where the Federal Aviation Authority said it saw no reason to follow the rest of the world—was conspicuously isolated. Until President Trump announced Wednesday that the planes would be grounded after all. Daniel Auble, a senior researcher at the Center for Responsive Politics, has called Boeing 'an excellent illustration of the 'the undue influence of money in our political system. The company's ability to curry political favors did little to help when crisis struck. Nor did its ponderous and reactive crisis response. Boeing spent most of the week looking like a company with nothing to say—particularly mystifying, perts given that aircraft manufacturers are in a crisis-prone business, and questions about the safety of a particular plane are among the most predictable of crises. At a time when his company was under fire and its stock price down by 8%, Boeing chief executive Dennis Muilenburg adopted a conspicuously low profile , barring a few written statements issued by the company's PR department. He did, however, find time to call President Trump to insist that the planes were safe to fly. He made a similar claim in an interview with CNBC, while the company also highlighted training designed to help pilots identify and override any problem with the plain's automatic controls. Writing for the Harvard Business Review , Sandra Sucher, professor of management practice, notes: 'Muilenburg's frame appears to be:This is a technical problem that we can correct with pilot training. It's a common enough frame for a product malfunction, but… [it] seems to miss the point that hundreds of human lives have been lost, that more may be at risk, and that regulators in many countries have grounded the planes…. 'A better frame would be:This is a technical problem that we do not fully understand. In light of that uncertainty, we recommend grounding the 737 Max 8s and 9s until we can be sure we know what is causing these crashes, and can satisfy ourselves and all of the global regulators that the plane is safe to fly again. Meanwhile, Seth Green, founding director of the Baumhart Centerfor Social Enterprise & Responsibility at Loyola University Chicago, criticized the disconnect between the company's stated values ('We value human life and well-being above all else and take action accordingly) and its response. 'Boeing missed the opportunity to center its response around its values…. How can a company that values human life ‘above all else' have such total confidence in a plane with that statistical record before even a basic investigation is conducted? On a common-sense level, the response felt like a company valuing its reputation and business expediency more than a company so committed to human lives that it would seek out the truth, no matter what the investigation reveals or the implications for its business. The company's response seemed tepid and tone-deaf even before this weekend's blockbuster Seattle Times report , which circled back to the relationship between the company and its supposed regulator to suggest that the FAA functioned more like a business partner. According to the report, FAA executives 'pushed the agency's safety engineers to delegate safety assessments to Boeing itself, and to speedily approve the resulting analysis. None of that looks particularly good for Boeing (or the FAA), and added up to a bad week for the company. But will it be any more than that? Some observers are sceptical. 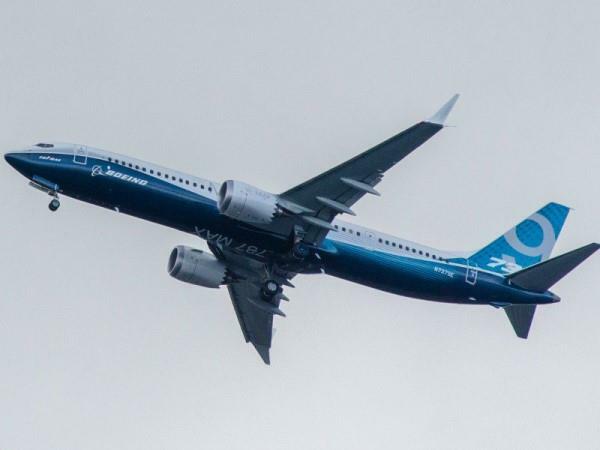 An analysis at The Week suggested that 'Boeing will probably cruise through this episode unscathed, while acknowledging that the reputational impact was a big unknown. At the very least, Boeing needs to address the reputation impact of these incidents better than it has to this point. Captain and Tenille believed that 'love will bring us together. But Walmart has been finding out—as did many companies before it —that love can also be divisive, particularly if that loves doesn't conform to the specific parameters that render it acceptable to a small but noisy minority of the American public. The Bentonville-based retail giant launched a new love-themed content campaign around Valentine's Day. The 'Love is in the aisle videos, promoted via the company's Facebook page, depict people going on blind dates at Walmart. The second episode features Pat and Andy , who are—cue dramatic music—gay!!! The video is pretty tame. There may be love in the aisles, but there's no smooching or even hand-holding, and as previously noted other company, like Nabisco, were doing this kind of thing five years ago. But Tim Wildmon, president of the American Family Association, spoke for many of us—no, really—when he wrote in an email blast: 'I honestly never thought Walmart would join the cultural revolution. (To be fair he also added—speaking for far fewer of us—and reject the beliefs of its customer base. Obviously, Walmart got lucky with the strength of the response to their campaign. The AFA's reaction probably led to a lot more clicks and lot more people realizing that the company is not as culturally conservative as they might have thought. Some cynics even suggested that the ad was leaked to agents of intolerance as a deliberate strategy: 'It looks like the marketers… were counting on social conservatives' outrage to drive their business objectives, suggested Curtis Sparrer of Bospar PR, something a Walmart communications executive laughed off when I suggested it to him this week. And to be fair to Walmart, this campaign didn't exactly come out of nowhere. The company has had a PRIDE group for its LGBTQ employee community and drew the ire of AFA and others when it opposed Arknasas' so-called 'religious freedom law back in 2015. Still, kudos for including the thousands of gay customers who frequent Walmart stores around the country in a love-themed ad campaign. We all needed a little more love in a week that seemed to once again be defined largely by hate .